"A Clean Face is Essential for Glowing Skin"
Radiant, healthy skin starts with a complete beauty routine. The Spin for Perfect Skin face and body brush is a versatile tool designed to keep your skin looking fresh and flawless. A powerful and safe rotary action spins the head of the device to thoroughly cleanse, exfoliate, and lift away unwanted debris, so you can banish blemishes and spin your way to clear, beautiful skin. "I bought this after seeing almost everyone using it and it's awesome! My skin has never felt better. The body brush is so good! My skin feels so soft and clean after using it! Must buy for everyone!" "This brush has change my life. 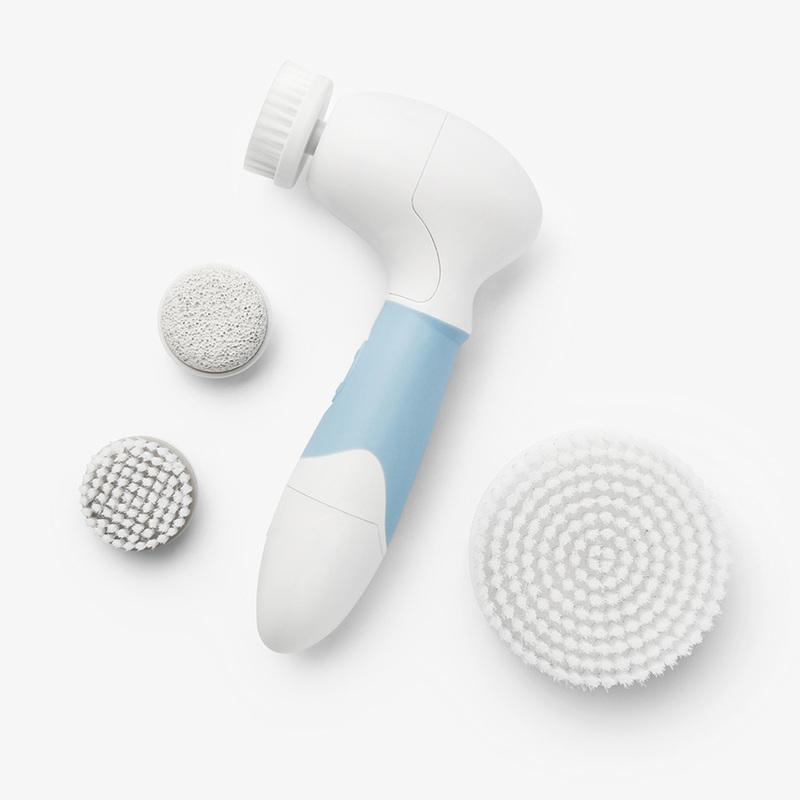 I suffer from acne scars and ever since I started using the spin brush, my skin has improved significantly. I can finally see my scarring from acne is fading! It's just amazing"
"I've recently purchased the Spin for Perfect Skin brush and I absolutely love it! It is extremely affordable, and it also comes with four great multipurpose brushes that are all very effective. The soft brush head is great for everyday use, and it leaves the skin feeling soft and thoroughly cleansed. Its light weight, very easy to transport, and it can be used with any of your other face cleaning products. All that to say that the product is great, and I would highly recommend it to anyone looking for a great facial cleanser for a great price!" "I bought the Spin for Perfect Skin as a Christmas gift for my daughter and she absolutely loves it!!"